Made from heavy, weather resistant, corrugated vinyl. 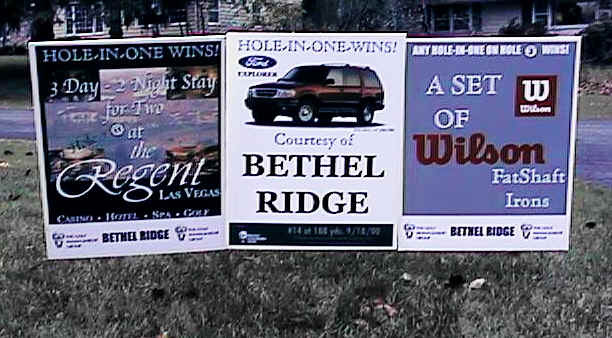 These signs will last year after year. Comes with strong, metal stake that firmly holds the sign in place. Sign measures 18" Dia x 30" Tall. 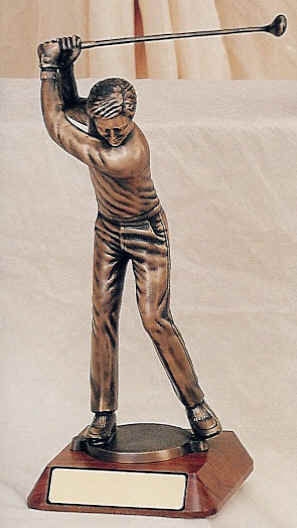 We provide hole-in-one insurance for anything you want to insure...from $10,000 cash to luxury automobiles. We also have trips to great sporting events such as the Masters, Super Bowl, World Series and more. 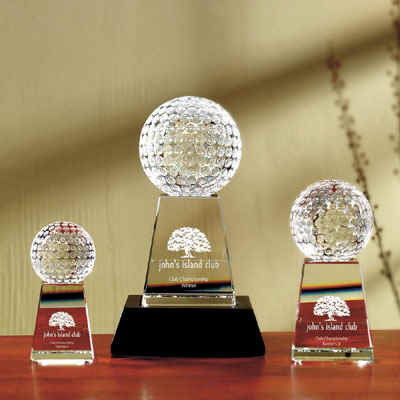 Our hole-in-one insurance includes, at no additional charge, prizes for the other par 3's so that every par 3 is covered. 4-color signs included for each par 3. We'll design any Save the Date card for you. You provide the logos, images, photos, and text and we'll do the rest! Or, you can use one of our images. * Shipping and handling costs are per order and for domestic service only. A favorite symbol on or off the course. In two sparkling pieces (ball and stand are separate) of pure optical crystal. 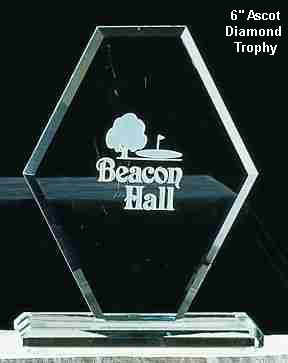 Optional custom wood base (sold separately) elevates this award to the highest level. Prices shown above include award copy of your choice (up to 3 lines of copy). Setup charges apply. An executive styled symbol of ultimate achievement in shimmering optical crystal. 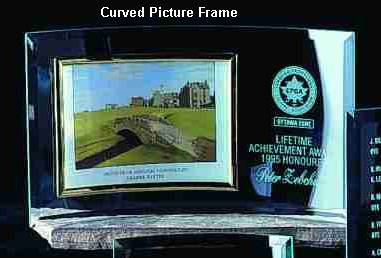 Award copy stands out impressively beneath the horizontal cut. 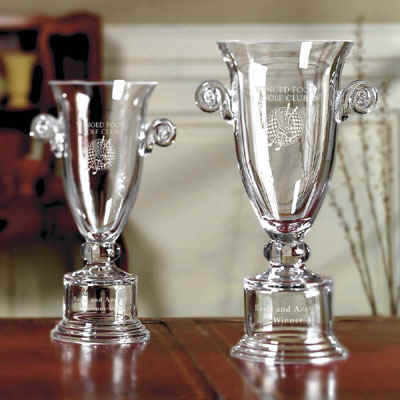 A classic handled trophy, elevated by a solid fully-cut crystal pedestal to show off any winner. 24% full lead crystal. 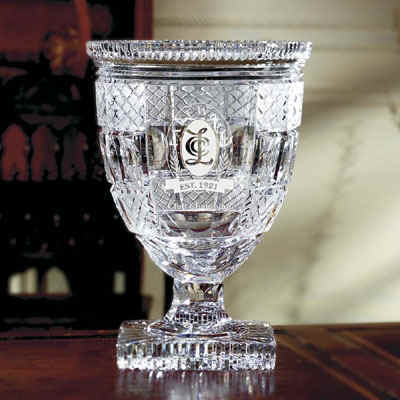 Reward a standout performance with this stand alone 24% full lead crystal trophy cup with its intricate hand cutting and distinctive square foot. Price shown above include award copy of your choice (up to 3 lines of copy). Setup charges apply. 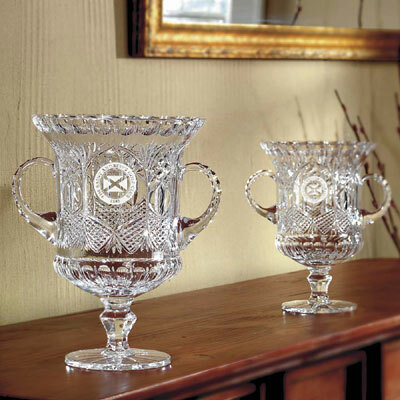 In 24% full lead crystal with elaborate hand cutting, this classic handled trophy represents excellence in a stately manner. 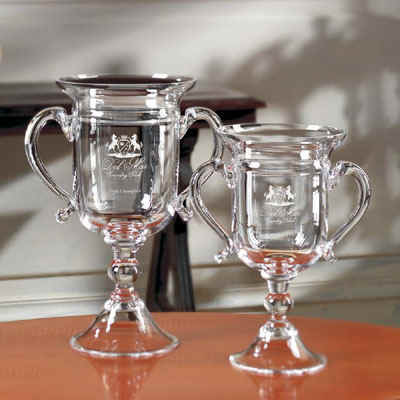 The unique pedestal base of this stately 24% full lead crystal trophy lends presence as well as added etching area for award copy. Simple elegance. 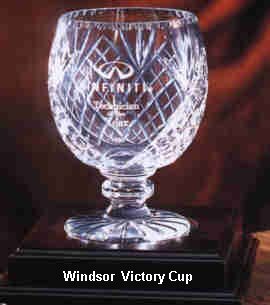 A clear winner in impressively weighted full lead crystal. 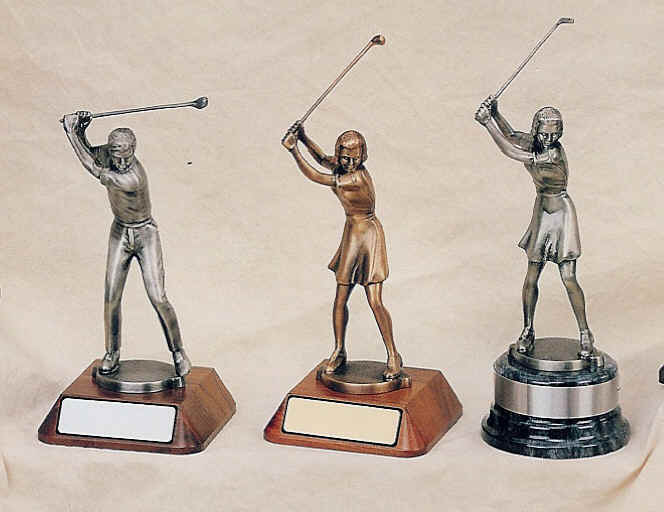 A classic trophy appropriate for representing the highest levels of achievement. An excellent value, this perennial favorite never ceases to reward recipients beyond their expectations. 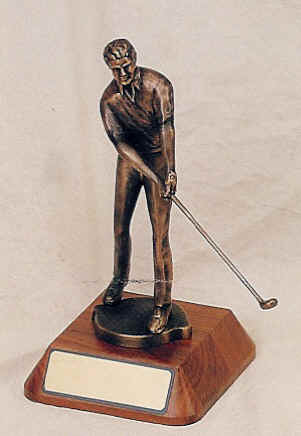 A classic trophy with substance and style. 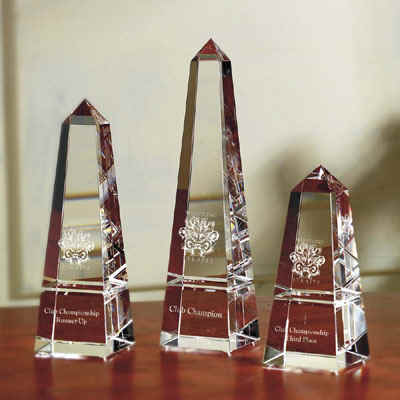 Weighty crystal and masculine lines fittingly reward the winners. 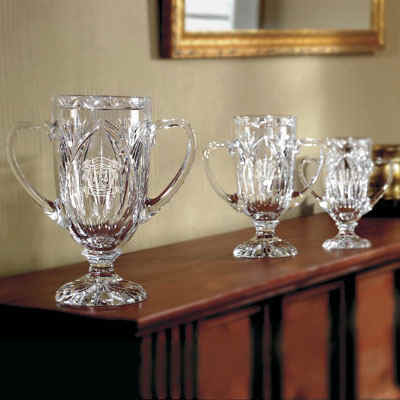 This fine classic trophy adds an extra touch of elegance, with a hand cut and polished laurel wreath, enhancing the sense of accomplishment for those who capture her. 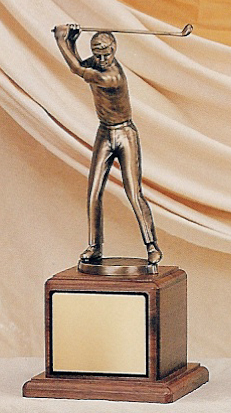 This classic trophy is among the favorites of all champions. 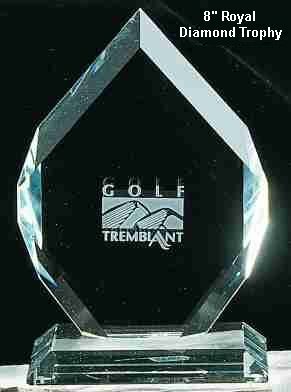 The large etching area provides ample space for any size logo. Price shown above includes award copy of your choice. No setup charges apply. 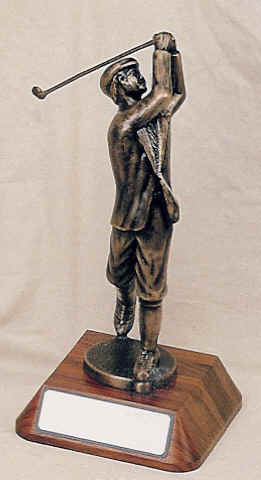 This unique trophy stands tall among the awards on any champion's credenza. 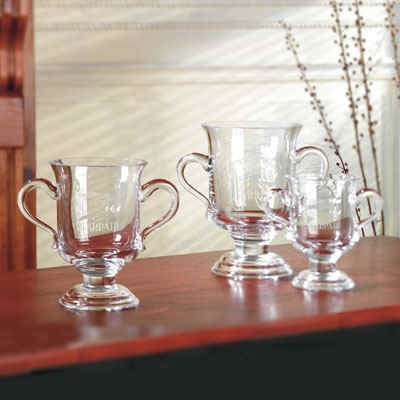 This fine glass favorite is affordable and provides ample space for your team's logo. Prices shown above include award copy of your choice. No setup charges apply. Display a photo of the champion and/or the team in victory. This keepsake will provide memories for years and years. Prices shown above includes award copy of your choice. No setup charges apply. 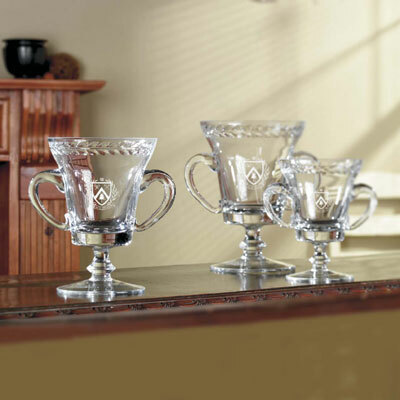 New to the line, this beautiful crystal trophy comes in three sizes and is gaining popularity fast. Prices shown above include award copy of your choice. No setup charges apply. Bases available. 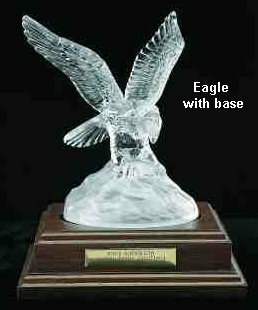 This stunning trophy is always an eye catcher. 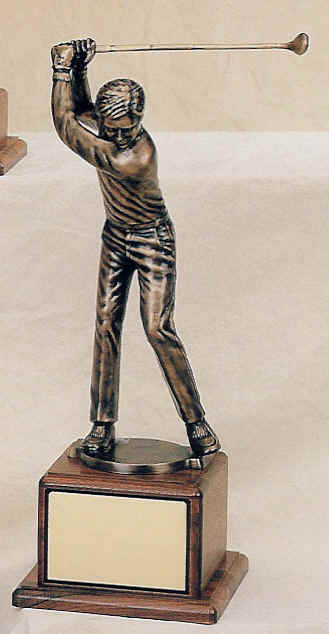 The metal plate on the base provides the ideal area to engrave the name of your tournament and of the victor. 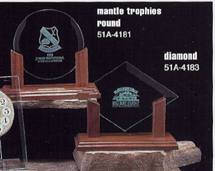 Why not try this unique trophy that site stunningly in it's wooden base. Our most popular item. Call us and we'll get it for you! *Smaller base. Engraving area - 2.4"x4" ** Smallest base. 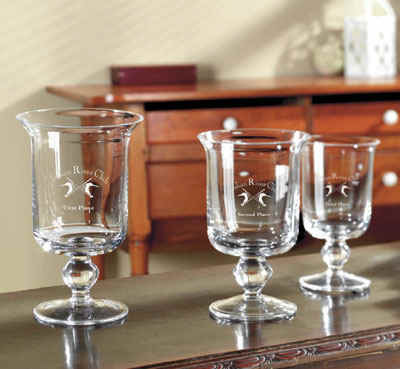 Engraving area - 1.2" x 4"
Setup and engraving charges apply. 20402 and 21623 available in bronze for $85. Setup and engraving charges apply. We will be continually adding items. If you do not see it here, call us toll-free @ 1-888-465-3383. Got a question or would like to place an order?